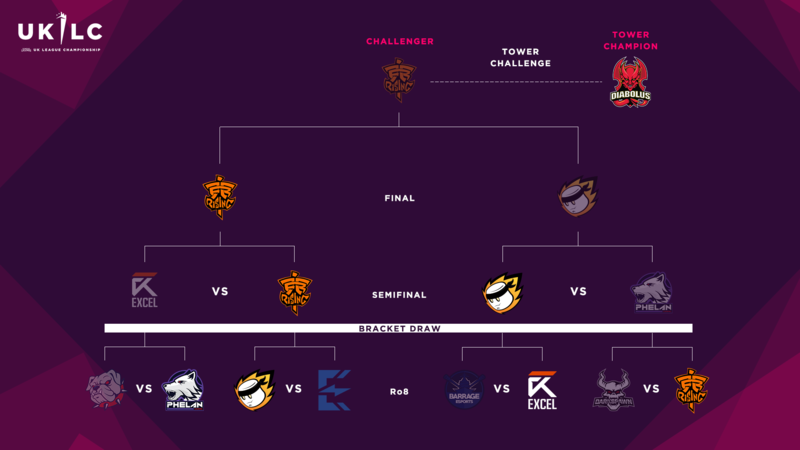 Diabolus Esports have drawn level with Fnatic Rising in first place. 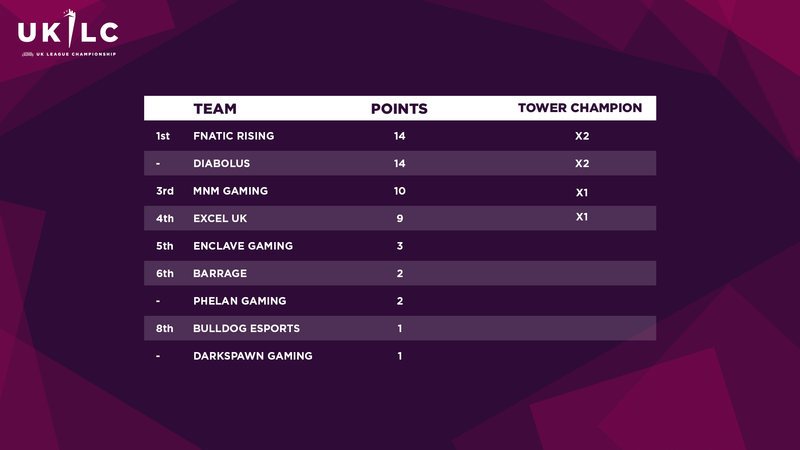 Following their successful defence of the tower despite Fnatic’s resurgence, Diabolus now tie the league leaders at 14 points apiece. After a terrible Week 4, Fnatic returned to the UK League Championship with all guns blazing in Week 5. But they were stopped in their tracks by Diabolus, meaning that the tower rematch has been unlocked and will kick off next week’s action. Meanwhile, MnM Gaming and Excel UK both made further inroads in securing a playoffs spot, whilst Phelan Gaming also added to their points tally. 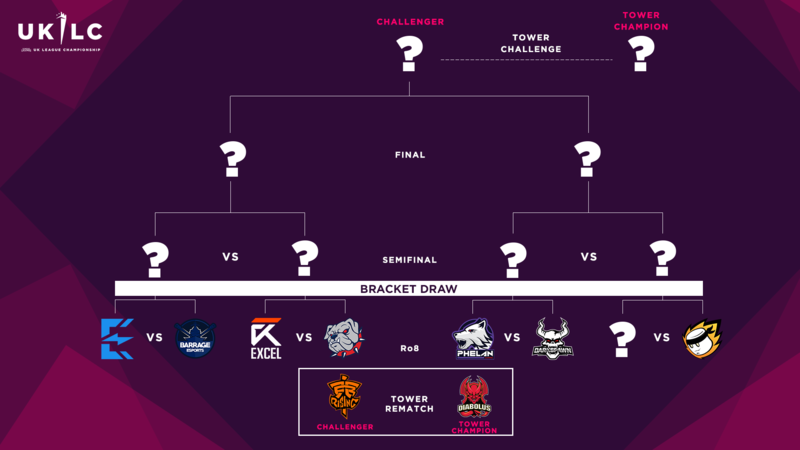 Here’s a breakdown of all the action! Adm was back on his signature Vel’Koz in the mid lane, but it was Snuggli’s Braum who truly engineered a victory for Phelan Gaming in their Round of 8 tie against Bulldog Esports. His exceptional Gragas plays punished Bulldogs for every mispositioning, allowing Phelan to build up a steady objective lead despite bleeding kills. With sof on Lee Sin, Phelan were able to capitalise on the inexperience of their opponent’s makeshift jungler Toliam, as the wolves secured every neutral objective on the map—including 6 dragons—on their way to the win. Despite an honourable attempt, they could never truly recover, as MnM Gaming manoeuvred their top lane advantage into map presence, and mumus100 ended with a 7/3/7 scoreline. Aatrox was again present in the following game—but it’s fair to say it was much less successful. This time, it was Barrage’s Artorias on the pick, and he was continuously punished for overextending in the lane against Send0o’s Renekton by Taxer. 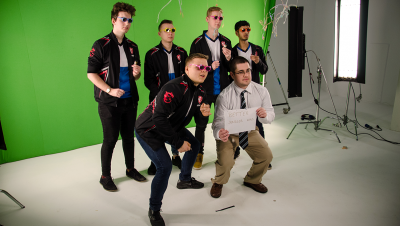 The Excel UK’s jungler fully utilised the pick potential of Elise to catch out Artorias and snowball Send0o, creating a pressure advantage around top lane that compensated for their scaling bot lane picks, Jinx and Tahm Kench. Barrage weren’t devoid of their own jungle agency—Skudzy’s Nocturne helped turn around a fight in the bot lane, before focusing attention on Exile’s Ryze. But Excel’s midlaner deftly sidestepped around the incoming assaults, soaking pressure and remaining deathless throughout the game as he delivered an MVP performance on the way to a semifinals appointment. 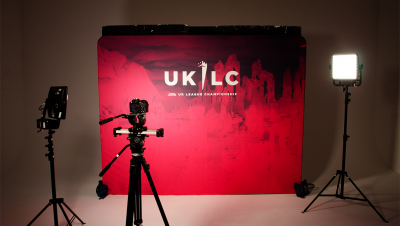 Reply here or tweet with the hashtag #UKLC to nominate players for the end-of-day Unsung Hero poll! The final fixture on Wednesday brought together DarkSpawn Gaming and Fnatic Rising for the third time this split. With Fnatic falling to two straight losses in the previous week, a potential upset seemed like it might be brewing. 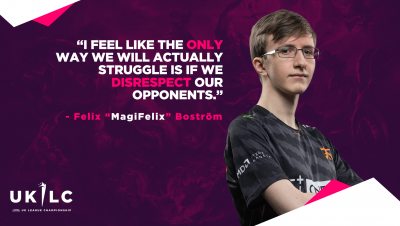 But it was to be a third straight loss for DarkSpawn in the match-up, as Fnatic came back with a vengeance and, in 24 minutes and 49 seconds, secured the fastest win of the split. Our semifinals opened with a mouthwatering prospect: Excel UK against Fnatic Rising. With the head-to-head between the two tied at 1-1, this promised a close contest—and it delivered right from the off, with kaSing immediately making his presence known. Excel’s unorthodox composition—with Exile piloting an AP Sejuani in the mid lane—roared to a 4k gold lead by 14 minutes, but ultimately could not close out the game before being outscaled. And outscaled they were, with MagiFelix and Shikari providing some pivotal flanks on Lissandra and Kennen to allow xMatty’s Vayne to clean up the mid game teamfights. Our second semifinal provided MnM with a chance to take revenge against Phelan, who had denied them a single kill when knocking them out in the Round of 8 in Week 2. But the story was entirely different this time around. Indeed, MnM seemed en route to a dominant victory, before Phelan somehow won a teamfight from a 10k gold deficit and took the Baron. But despite a commendable stall, they weren’t able to regain significant ground, and MnM eventually closed out the win. MnM’s victory took them to the tower bracket final against Fnatic, who’s unshakeable form continued as they edged to an early lead. But a poorly coordinated teleport bot led to Monk’s Kog’Maw picking up a number of kills, bringing MnM right back into proceedings. The gold stayed even until 21 minutes. Then, Fnatic pressed all of their R keys and it became blindingly apparent that there simply wasn’t enough protection for MnM’s carry. Fnatic piled on top of the puppy and pushed the momentum to propel themselves into the tower challenge. The Fnatic hype train just ploughed straight on into the next game , with Fnatic claiming a 9-1 kill advantage at 29 minutes, constantly locking down Kroghsen’s immobile Cassiopeia every time she snaked her way out from under her tower. But then, Diabolus showcased the decisiveness that had delivered them to the top of the tower; grabbing a kill onto an isolated Shikari, they made a gutsy call to commit to the Baron, claiming the buff from a 9k gold disadvantage. 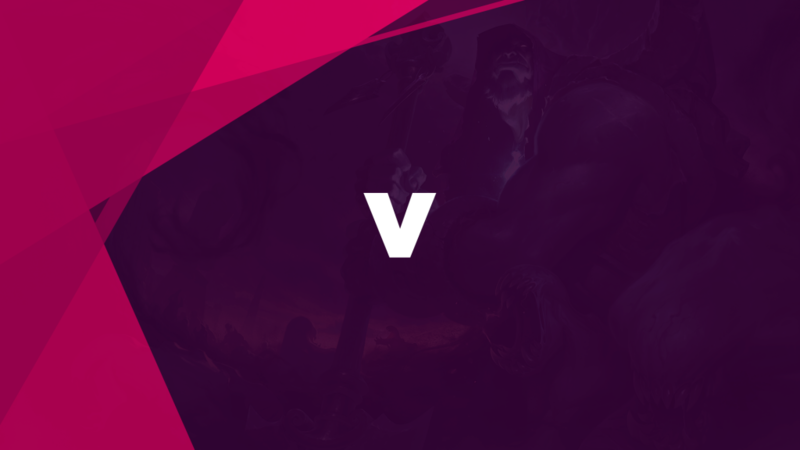 A couple of minutes later, Yusa’s Lucian cleanly circumnavigated a MagiFelix engage and Kerberos’s Yorick helped beat back Fnatic in the first major team fight win for Diabolus. The devils were able to take an inhibitor turret off of the play, before winning the next big fight and cleaning up the base in a huge comeback victory that secured their spot at the top of the tower.